A good portion of my work revolves around color. What pairs well with what, which hues evoke certain moods, what kind of message a particular color conveys…the list is endless. In Color Coded, I match a beautiful, of-the-moment shade to great interiors across the web. What I’m feeling right now: zingy, electric citron. 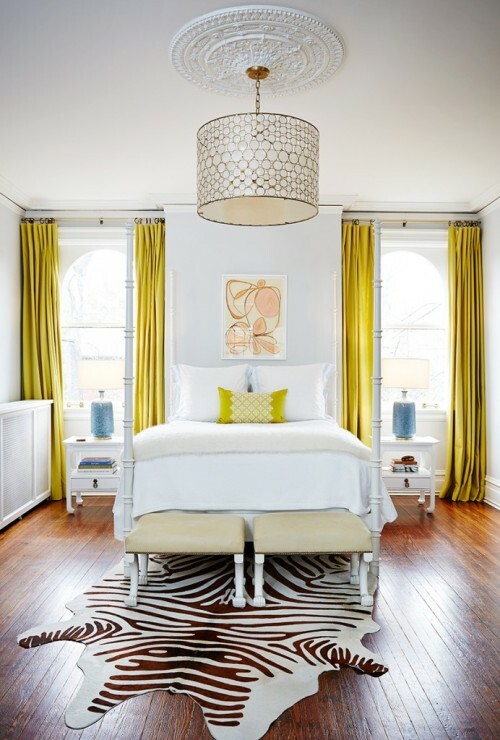 Whether it’s illuminating a wall or coloring curtains, this optimistic lemon tone infuses any room with sunshine. The cascade of these warm citron drapes creates an airy, inviting vibe for the abundance of natural light in this Amie Corley interior featured on the Heathered Nest. Beautifully stained wood floors and a faux-animal rug ground the space, creating the perfect contrast to the room’s lightweight surroundings. A patterned pillow extends the curtain’s breezy tones to the bed for an overall soothing effect. 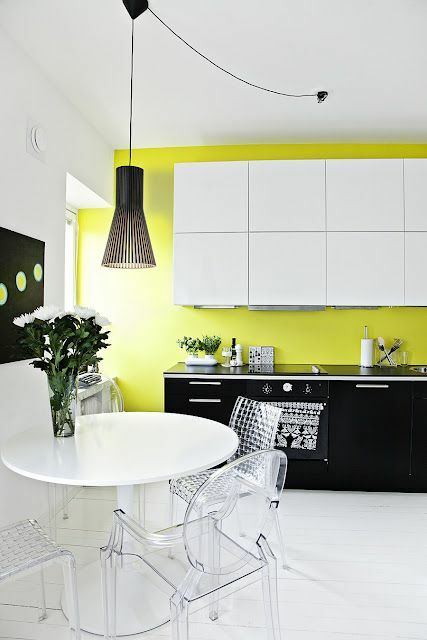 A snappy yellow is a great color-block subject, as evidenced in this bright, modern kitchen on MRS JONES. The sharp-looking back wall adds a dose of energy to the geometric, monochromatic space, a look that’s rounded out by abstract lighting and fresh greenery. Citron can also be an upholstery hero, extending its poppy hues to furniture. Check out these unexpectedly fun patterned armchairs in this shot from Refinery29. 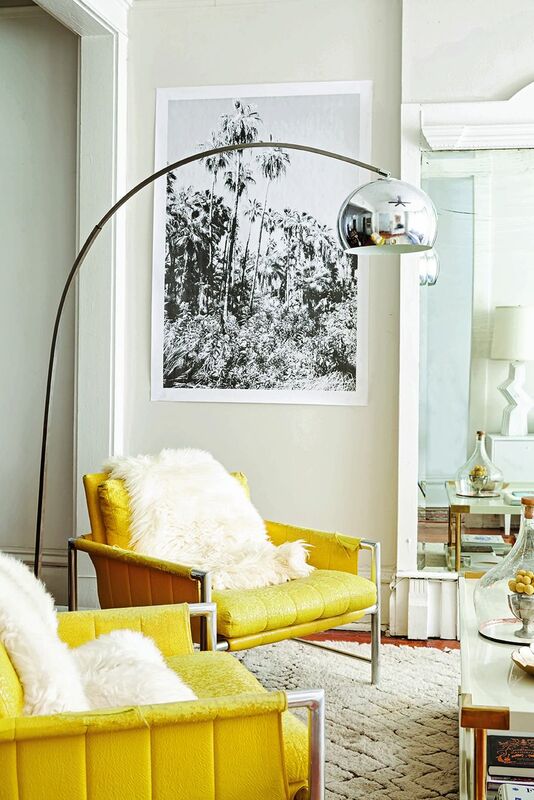 Soft, fuzzy throws, lemons as accessories, and other eclectic décor dominates this unabashedly spunky interior, which has a look and character all its own.